Following the creation of that site, we were looking at ways of how to take it one step further, which is when we were approached by the great folks at Mobiloud. They helped us to create a mobile app for WP News Desk that automatically adds new news stories just as they appear on the website. The process was so simple and the result so satisfying that we’ve decided to follow up the initial tutorial with a new one. MobiLoud is a mobile app building service helping WordPress site owners turn their website into native mobile apps. The service offers two distinct platforms to have your app published: “News” is aimed at news and blog publishers and the most relevant for our app. The new “Canvas” platform helps you turn any other WordPress website into native apps leveraging your existing responsive or mobile theme. 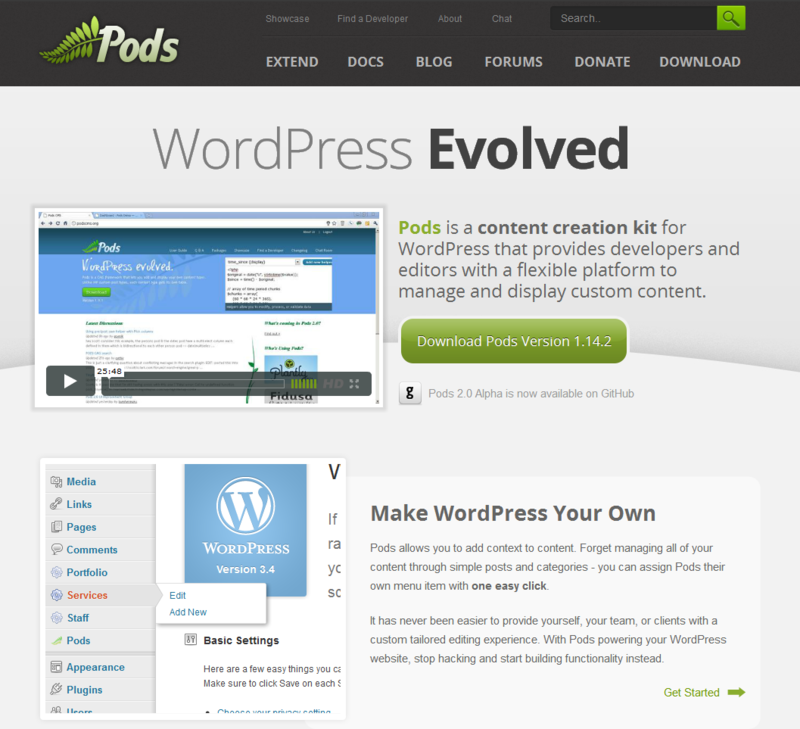 MobiLoud offers a simple plugin found in the WordPress plugin repository that you can install and use on your website. It provides you with a number of settings that allow you to customize the look of your app as well as its functionality. Differently from other solutions, MobiLoud’s News apps are real native apps and you can notice! 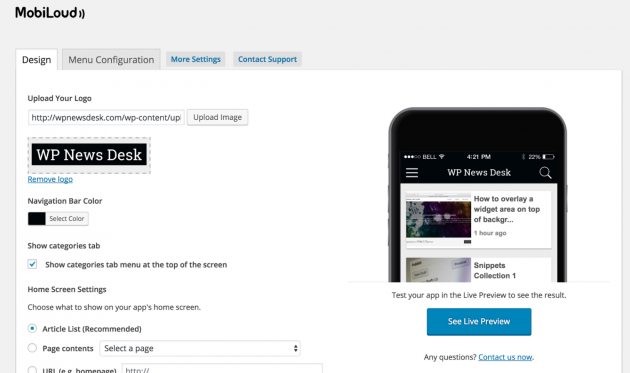 The performance and look and feel of the apps you’ll create is typical of a custom developed app such as those from major news publishers (check out the WP News Desk app to get an idea). There are other app building solutions out there, but MobiLoud are the only ones to take care of the whole app building and submission process for you, with no setup fees, so you don’t need to be spending time figuring out complicated certificates, creating screenshots and fiddling with Xcode or Android Studio (the assumption being you’re not an experienced app developer). Once both plugins are installed, you can head to the MobiLoud plugin to customize the look of your app. The folks at MobiLoud have a quick tutorial for this. Once the style of your app is sorted and you’ve added your logo to your app, you can get a first quick look at the result through the Live Preview tool part of the plugin (it’s a full simulation of an iOS or Android device running in the browser) or directly on your device using the MobiLoud preview apps. Users should be able to read the original story on the source website, so consider adding a link for this. Making these modifications is easy using MobiLoud’s plugin built-in code editor, which lets you modify the PHP/HTML code which renders the article pages in the app (the rest of the app is native, as we said, but your content is of course in HTML and comes straight from your WordPress database). The source name should appear below the article’s title – there’s a specific position for this in MobiLoud’s Editor. 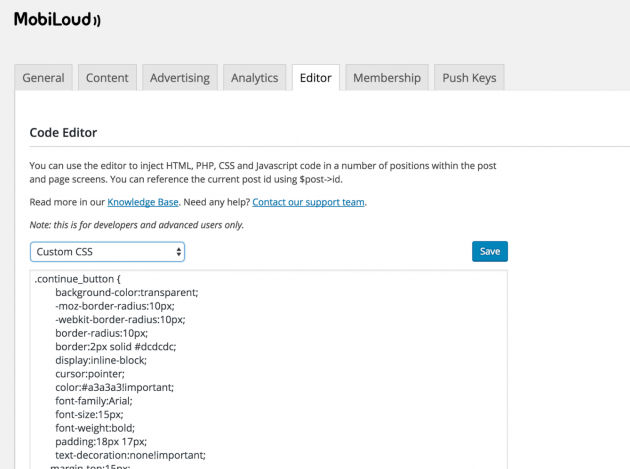 The MobiLoud team did all the customization work for us and could do the same for you, making sure all your plugins and custom fields are displayed correctly within the content. If you’re confident with some coding, as a starting point you can use the code MobiLoud put together for us and published on their knowledge base. Once you’re happy with the apps, MobiLoud will do all the work necessary to build and publish your apps, on your app store accounts or theirs, as you need. MobiLoud might not be the cheapest option out there, but differently from many others they provide a service, rather than just a code license, this means you’re not left alone to figure out the complications of app development and publishing, saving many hours of your time. MobiLoud offers both lifetime licenses starting at $699 and subscriptions from $34/month (paid annually) or $49/month (paid monthly). 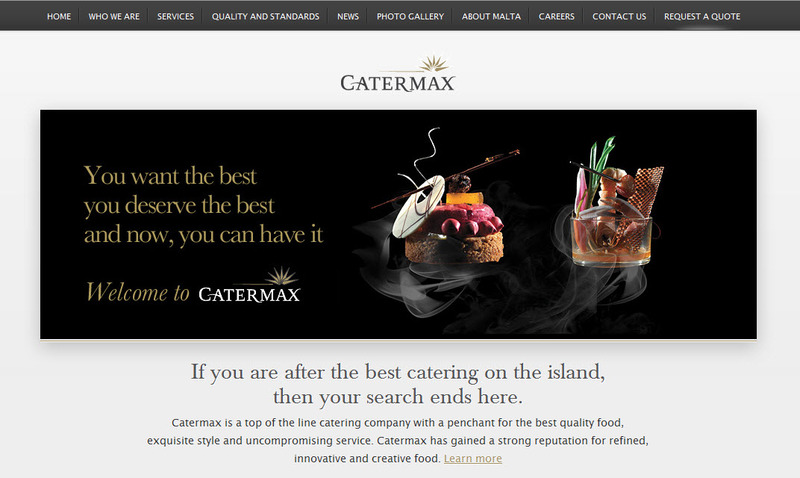 You can see the full details and FAQs on their Pricing page. Whether your site is new or established, building a mobile app will allow you to tap into a new source of traffic and thanks to app only features like push notifications and in-app advertisement, it may well be a channel allowing you to grow traffic and revenue organically, well worth the investment. 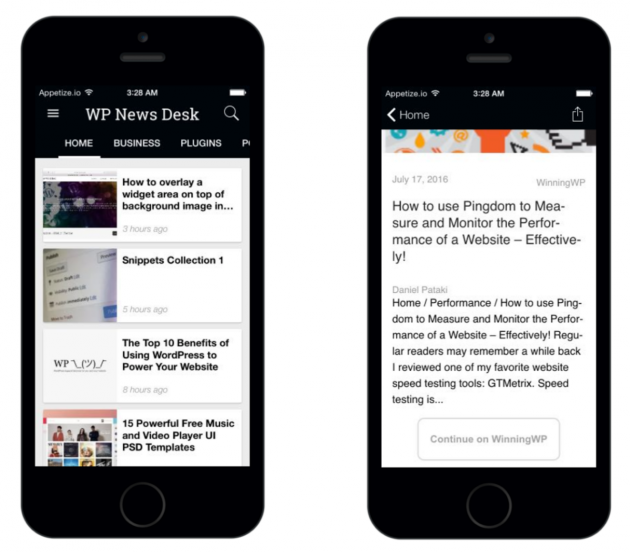 With WP RSS Aggregator and MobiLoud you have everything you need to publish native mobile apps aggregating or curating news content from the web. Just pick a niche and get your app done! Hi Fabrice, thanks! Would be great to have the option of changing language to English on your site 😉 Will give this a read. Hai, could we customize the appearance, make it look like flipboard? Hey fauzi, to get the look of Flipboard you’d just need to find a theme that is similar in design. When using Feed to Post, the imported posts are displayed by your theme, so they take on its design elements throughout. Awesome tool for creating a mobile app for news based sites. Thanks for sharing.